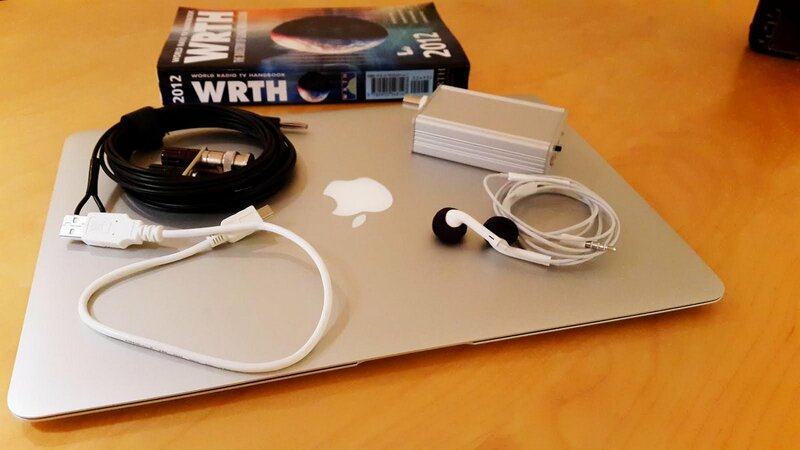 The perfect radio for business travellers? I travel regularly, or should I say commute between Europe and Asia, and have been on the lookout for a small receiver with good performance that would be easy to carry with me. I never travel without my laptop so an SDR would be the sensible thing to look for. A few weeks back the tiny FiFi SDR receiver caught my interest as I was browsing the website of Funkamateur http://www.box73.com/ the excellent German ham radio magazine. It looked promising as it had an impressive bank of filters covering all the way from LF to HF. Also, the front end is designed to emphasize sensitivity, so that it can work well with short wire antennas. It also had a built in sound card which would make interfacing to my computer a simple job. The price was certainly right – $ 169. I ordered it, and it showed up in my mailbox a few days later. It is offered as a “kit” though in practice all that needs to be done is to solder a couple of connectors and sockets. All the surface SMD components are pre-soldered, and the rugged extruded case has die cut holes for the connectors and controls making the mechanical assembly very simple. The entire exercise took me about 20 minutes until the receiver was plugged in and powered up. Since I use a Mac the choice of SDR software is a lot more restricted than that for Windows. 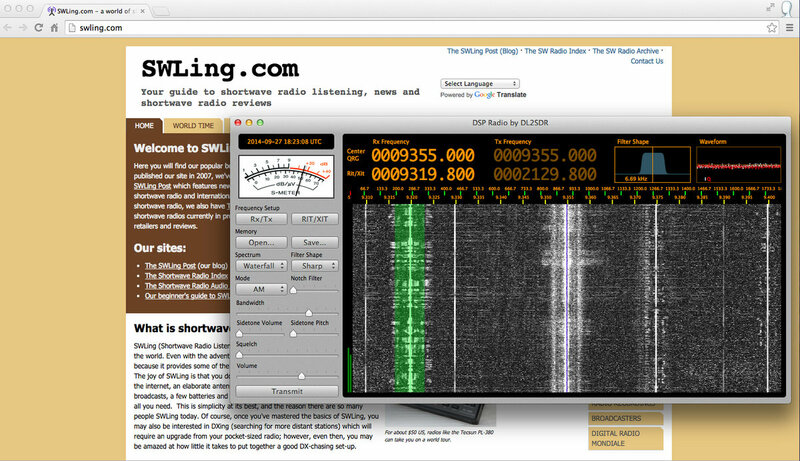 I did however find free software called SDR Radio (http://dl2sdr.homepage.t-online.de/) developed by DL2SDR which does a great job of partnering with the FiFi and my Mac. SDR Radio is still in development, so the UI can a bit rough at the edges at times. Also, configuring the Audio and MIDI settings on my Mac took a bit of work, but DL2SDR Sebastian was quick to reply to my mails requesting help when I got stuck. So how does it all sound? While I am sure that there may be better performing SDR radios out there, what this little matchbox sized receiver does is simply amazing. Users running Windows will have access to much more sophisticated applications than the simple programs available for Mac and will be better able to compare this radio. However, it does an outstanding job of handling both AM broadcast as well as CW and SSB utility and Ham signals. While SDR Radio does not offer a lot of bells and whistles at present, the continuously variable bandwidth which can be dialled in to almost zero, and effective notch filter get the job done very well. In empirical testing and comparisons with the Palstar R30C, the FiFi easily outclassed the older analog radio (and the Palstar is no slouch, especially on the lower frequencies). In summary, this is going to be the radio that I will be taking with me on all my travels from now on. It is tiny, ruggedly built, and has excellent RF performance, especially at lower frequencies. Many thanks for your review, Anil! The FiFi SDR does indeed sound like an ideal SDR for travel. Like you, I am usually limited by the SDR applications available on the Mac OS. 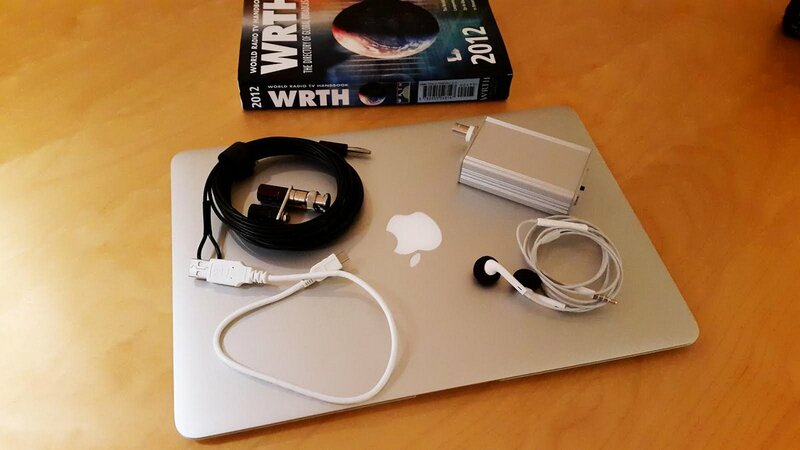 While I use a Windows 7 PC at home, on the road, I travel with the MacBook Air (a superb laptop!). Click here to view details and purchase a FiFi SDR ($169 shipping included). This entry was posted in Guest Posts, Ham Radio, New Products, News, Reviews, Shortwave Radio, Software Defined Radio, Travel and tagged Anil Raj, FiFi-SDR receiver kit 2.0, FiFi-SDR receiver review, Kits, SDR, SDR Review, Shortwave Radio Reviews on September 30, 2014 by Thomas.